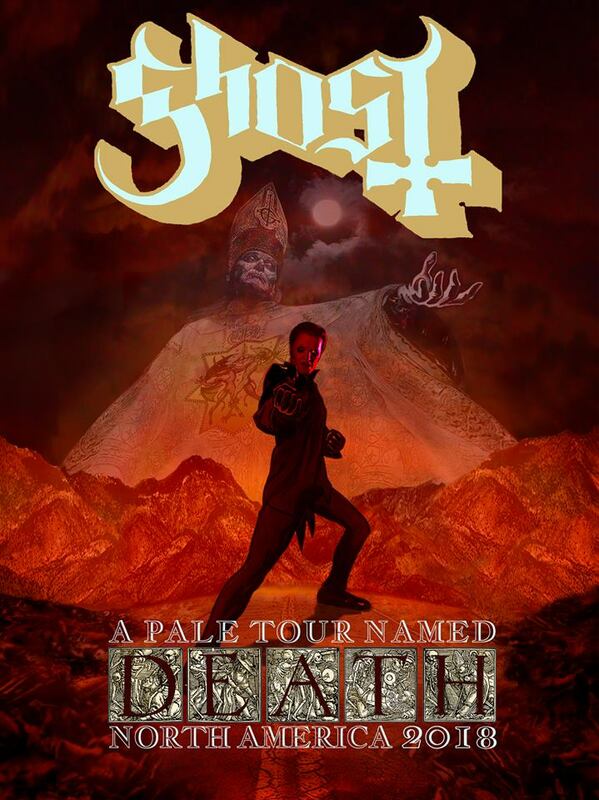 Billed as “A Pale Tour Named Death”, the 8-week theater run (see dates below) will open in Tulsa, OK on October 26 and include the band's previously announced headline arena dates at The Forum in Los Angeles, CA on November 16 and Barclays Center in New York for the trek’s closing night on December 15. Pre-sale tickets for the tour will be available beginning Tuesday, June 12 at 10:00am local time, with general public seats on sale starting Friday, June 15 at 10:00 am local time. News of the fall tour follows a recently-completed series of spring dates on the continent that began with an intimate show at The Roxy Theatre in Los Angeles, CA on May 4, where the group debuted songs from their fourth studio record. Recorded last year with producer Tom Dalgety (Royal Blood, Opeth) at Artery Studios in Stockholm, Sweden, “Prequelle” has just debuted at No. 3 on the Billboard 200 to deliver the Swedish rockers their highest-charting US album and best US sales week ever. Ghost are currently playing dates across Europe and will next be seen at the Download Festival in Brétigny-Sur-Orge, France on June 15.